Vermont lifestyle bed and breakfast, down on the farm! The Russell Young Farm Bed & Breakfast is definitely cozy, in the mountains and pure Vermont. Nestled in the valley of the Green Mountains in the tiny hamlet of Jerusalem (named because it is located on a hill, as is the Ancient City) is this gem of an Inn. Location is a prime consideration when choosing your future home and Inn. The Russell Young Farm has this and spectacular views to go along with it. These images tell it all. You know that just steps from the Inn’s front porch there is the… “unpredictability of a day sliding on snow” … on cross- country skis or snow shoes. If this is the lifestyle you seek, then read on. Lifestyle Inns, usually smaller in size, are the heart and soul of the Bed & Breakfast industry and comprise about 2/3 of the B&B inventory of inns. The B&B Team’s commitment to this segment of the bed and breakfast industry is strong, and we work with innkeepers and clients looking for the lifestyle Inn with the same enthusiasm and professionalism you expect from our team. 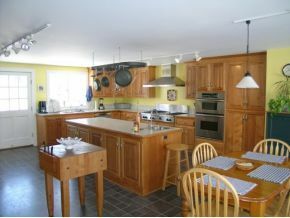 The Russell Young Farm is a property that has been lovingly restored and upgraded by current owners, Carol and Dennis. All the Vermont country charm you expect is included; the large stone hearth that is the heart of the great room, the wide front porch, three comfortable guest rooms with modern conveniences that inn-seeking guests expect today, and at the end of a long day, an outdoor enclosed hot tub. Envision a large fully equipped chef’s kitchen with a center island, every innkeepers dream and a reality at Russell Young Farm. Carol and Dennis describe their Inn’s location as being “Halfway to Heaven”. 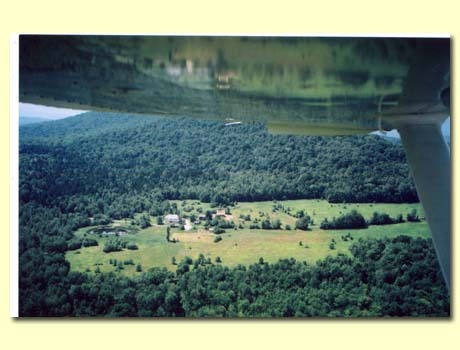 Yes, the location, 360 degree views, 25 acres and the lifestyle is pretty close to heaven on earth… Vermont style. The B&B Team® is pleased to offer The Russell Young Farm Bed & Breakfast for sale. Let us help you make your dream a reality. This entry was posted on Thursday, April 21st, 2011 at 3:33 pm	and is filed under Better Way to Buy and Inn, Inns for Sale. You can follow any responses to this entry through the RSS 2.0 feed. Both comments and pings are currently closed.